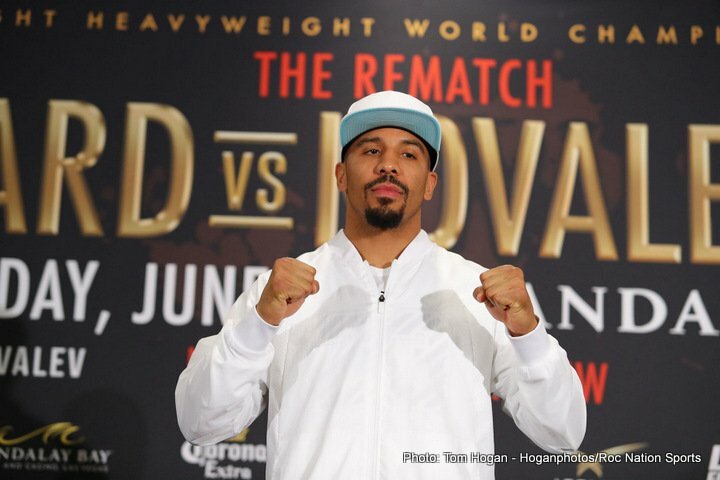 Two division world champion Andre “SOG” Ward has confirmed that that he will have a booth and interact with the fans at the Las Vegas Convention Center for the 4th Annual Box Fan Expo on Saturday September 15, 2018, during Mexican Independence Day weekend. Ward joins Abner Mares, Mikey Garcia, James Toney, Mayweather Promotions, WBC, WBA, Thomas Hearns, David Benavidez, José Benavidez, Badou Jack, Mia St.John, Jessie Vargas, Erik Morales and Fernando Vargas as an early commitment to this year’s Box Fan Expo. Undefeated two-division world champion and 2004 Olympic gold medalist Andre Ward, has agreed to a new multiyear deal with ESPN, it was announced today. Under the agreement, Ward will serve as an on-site studio boxing analyst for ESPN. Ward, the former Ring Magazine number one Pound-For-Pound fighter and former Unified Light Heavyweight Champion of the World, will make his next onsite appearance at Atlantic City Ocean Resort Casino Saturday, August 18th, for ESPN’s telecast of Top Rank on ESPN headlined by heavyweight contender Bryant “B.Y.” Jennings (23-2, 13 KOs) facing off Alexander “Sascha” Dimitrenko (41-3, 26 KOs), airing at 10 p.m. on ESPN and ESPN Deportes. On August 25th, Ward will be onsite at Gila River Arena in Glendale, Arizona for ESPN’s coverage of Top Rank on ESPN featuring Ray Beltrán defending the WBO lightweight title against former junior lightweight world champion, Jose “Sniper” Pedraza.